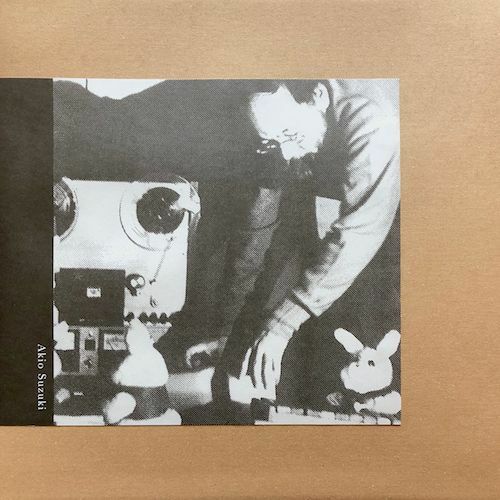 Originally recorded in 1984, “Jumping and Standing” consists of a live performance at Musashino Art University by pioneering Japanese sound artist Akio Suzuki, accompanied by five toy rabbits. This long-awaited release epitomizes Suzuki’s approach to performance, imbued with a characteristic sense of humor and an organic interplay with his audiences, as evinced by uproarious laughter heard on the opening track. Now some three decades later, contemporary listeners are likewise drawn ever deeper into this novel noisescape featuring an ensemble of wind-up bunnies on broken boards, metallic fragments, and a reel-to-reel tape deck on the fritz.